One the stories that really struck home with an “a-ha!” moment is told in chapter nine. It’s about a Brahman who learns that one of his clan has left his home and gone to study with the Buddha. The Brahman bursts in on the Buddha immediately begins to rudely berate and belittle him for allowing this to happen. Buddha waits until the Brahman has finished speaking and then asks if when the Brahman receives guests at his own home does he offer them food and refreshment. When the Brahman agrees that he sometimes does this, the Buddha asks if his offerings are not accepted by the guests, to whom does the food and fruits belong? “Well, if they are not accepted then they remain with me.” says the Brahman. How many times has someone in traffic, at the store, or at work basically surprised you by biting off your head or being rude. (I know I’ve been guilty of doing it myself more times than I’d care to admit.) The difference explained in the story is that we don’t have an obligation to accept their “gift” by responding angrily in-kind. We can simply choose to not act-out in return, and their anger and animosity remains with them like an undelivered letter. Other lessons that have made an impact on me just after this first reading are “the giver should be thankful” and learning about three methods of dealing with anger once it arises (tolerant patience, insightful patience, and forgiving patience.) This is truly a book I will revisit in an effort to better deal with anger, frustration, and impatience; and I know Iearn more (and get better at it) with each reading. 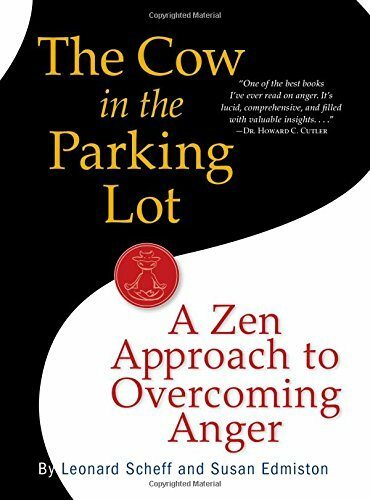 This book contains just the right mix of modern and ancient examples of how to overcome your anger and conquer the stress that it brings. I’m torn between lending it to a friend who I know could benefit from its message or simply diving back in and reading it again for myself. I actually split the difference and did both — re-read it myself AND bought my friend their own copy. Do yourself the same favor!